Sound Horse Systems LLC - Sound Horse Systemsis dedicated to providing Holistic Hoof and Horse Care to the horses of Central Florida. 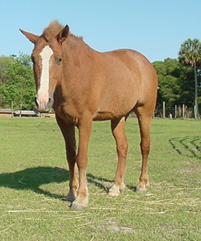 is dedicated to providing Holistic Hoof and Horse Care to the horses of Central Florida. Holistic Hoofcare Professional Anne Daimler is a provider of the physiologically correct barefoot trim for the horses of Central Florida. Sound Horse Systems is also a distributor for Stance Equine products and Cool Stance feed; Medicine Bag Complete minerals; and Vita Royal/Eqine Plus Supplements. Sound Horse Seminars is a division of Sound Horse Systems and offers seminars on Holistic Hoofcare; Basic Anatomy of the Equine Lower Liimb with Special Emphasis on the Hoof Capsule; and Holistic Horse Keeping. These seminars are available for groups and for individuals. For the owner who wants to learn more about the Physiologically Correct Trim (PCT) with the idea of eventually trimming their own horses, SHS offers a private Basic Anatomy and Introduction to Barefoot Trimming seminar along with followup coaching. Anne Daimler is a distributor for Lifevantage nutrigenic products and Young Living Essential Oils. To find out if our services are a fit for you and/or set up an appointment, call Anne Daimler at (386) 822-4564. Cell phone is (321) 377-1403.